kitchen qualifies for the program. Save money before you even start. Mark Brady is a creative kitchen designer, interior designer and master carpenter with locations in Simsbury and Middletown, CT. His success relies on learning about you and your family and your household habits and lifestyle. From this information he creates a living and cooking environment that works within your home, time frame, and budgets. 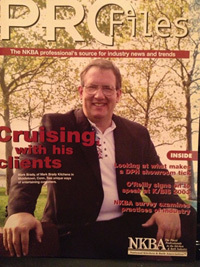 Mark Brady has been featured in Women's Day, Old House Journal, Kitchen & Bath Business Magazine, Connecticut Magazine, Home Remodeling Magazine & Northeast Magazine. He was also the designer on the "Paula Deen's All-Star Kitchen Makeover" for the Food Network & HGTV. My first "idea session" appointment with you is free to me, but, I do ask that you make a check to: "Rotary, Polio Plus" for $50.00. (Polio vaccine is about $.50per dose, so your contribution will save nearly 100 children's lives where Polio still exists. It is tax deductable too!) Rotary International has 1.2 million members worldwide (including me :) and is mostly responsible for eradicating polio from the world. We're so close! Thank you!